Adorable 2 bedroom 2 bath condo in desirable 55+ gated community. End unit on 2nd floor with lake view from both living area and kitchen window. This condo is light and bright. Furniture is included. Unit has 1 assigned parking spot under carport #17. New A/C. 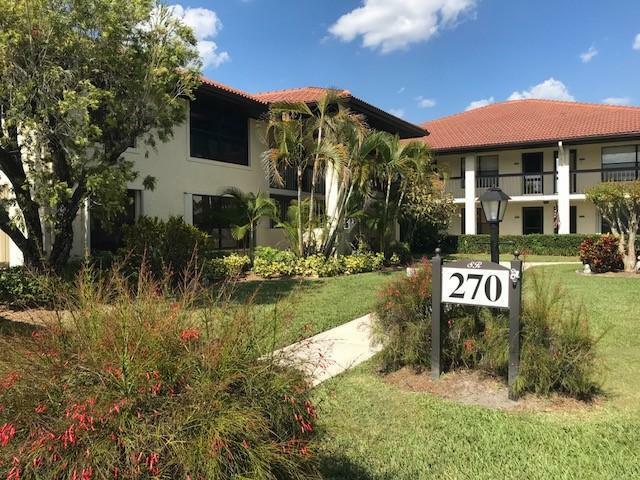 South River is a waterfront community located in the heart of Stuart. It has a huge active clubhouse, heated pool, library, billiard room, tennis courts, boat ramp, BBQ Grills and fishing pier.